Four years ago the Rana Plaza factory in Bangladesh collapsed, killing 1,100 people. Working conditions have improved since then, but wages have not. Maria Zimmerman reports from Dhaka. It is late afternoon as Ashik and his wife Rahinur put long pieces of wood in the fire pit. As has been the case for weeks, today's meal will just consist of rice and a little bit of dried fish. Their son, Himel, is five years old and he is sick. His kidneys have been bothering him for weeks. His parents say they don't think he is getting adequate nutrition. But the family does not have enough money to visit a doctor. They have been living without any income for the last four months. Ashik and Rahinur were factory workers in Ashulia, a suburb of Dhaka in Bangladesh. Ashik folded the sweaters and pants that Rahinur sewed. Clothing that would later be sold to European clothing chains like H&M and Zara. If they worked overtime, meaning they were in the factory for 14 hours a day, they earned about 180 euros ($193) between the two of them. National minimum wage in Bangladesh is 35 euros per month. "It was very hard work," says Ashik. "When we got home we were very, very tired and exhausted." The money was just enough to cover food and rent, but they could not afford health insurance. Aslik and Rahinur hoped that if they saved a little they would one day be able to buy a television. Ashik with his son. The family can only afford to live on rice and some dried fish. In December 2016, Ashik and Rahinur took to the street to protest for better wages. The strike shut down 55 factories for a week. That was when the police stepped in and ended it. A short time later there was a knock at Ashik and Rahinur's door. Three police officers arrested Ashik, a union member, and threw him in jail for two months. Another 1,500 workers lost their jobs as a result of the strike, and 35 union members were jailed. Now their names are on a blacklist and they cannot find work. Some 3.5 million people are estimated to be working in Bangladesh's textile industry. Less than five percent of them are in organized unions. They were unable to get pay raises with their protest last December. The unions are weak and employers are strong and influential. Factory owners say that if workers want more money foreign customers will simply move production to countries where labor is cheaper, such as Ethiopia. After the strike, the President of the Bangladesh Garment Manufacturers and Exporters Association (BGMEA), Siddiqur Rahman, said that the government had already raised wages in 2013. Now about 61 euros per month, Rahman said that another increase would not be possible for at least five years, if ever. The government in Dhaka supports the regulation of the minimum wage. Their number one priority is the economic development of the country, and the textile industry is Bangladesh's most important business sector. Every eighth Bangladeshi is directly or indirectly dependent upon the textile industry. The boom that the sector has experienced has helped the country, which is still one of the poorest in the world, achieve the United Nations Millennium Development goals. Bangladesh is a success story among the world's least developed nations, and it intends to continue that success by meeting the sustainable development goals of the Agenda 2030. In order to keep the country from achieving its success on the backs of hardworking factory workers, Franziska Korn of Germany's Friedrich Ebert Foundation (FES) offices in Bangladesh says that international fashion labels must use their power. "They should make a stand for a living wage and the freedom to organize," says Korn. Ashik (left) is fighting for fair wages. The Friedrich Ebert Foundation has started a trainee program for union organizers called the "Academy of Labor," which educates young activists for three months at Bangladesh's Brac University. "In the longterm, the academy is designed to strengthen unions and facilitate dialog between them and employers' associations," as Michael Sommer, deputy chairman of the FES and longtime head of the German Trade Union Confederation (DGB), told Deutsche Welle. Working conditions for textile workers in Bangladesh have greatly improved since the collapse of the Rana Plaza factory killed 1,100 people in 2013. International unions and textile producers came together to sign an agreement on fire and factory safety in order to make textile factories in Bangladesh safe work spaces. Since the agreement was signed in 2013, some 1,600 safety and fire control deficiencies have been identified and rectified. According to the agreement's initiators, 77 percent of all safety deficiencies have been resolved and 400 factories have been certified as safe workplaces. The rest of the country's factories plan on being certified by 2018. 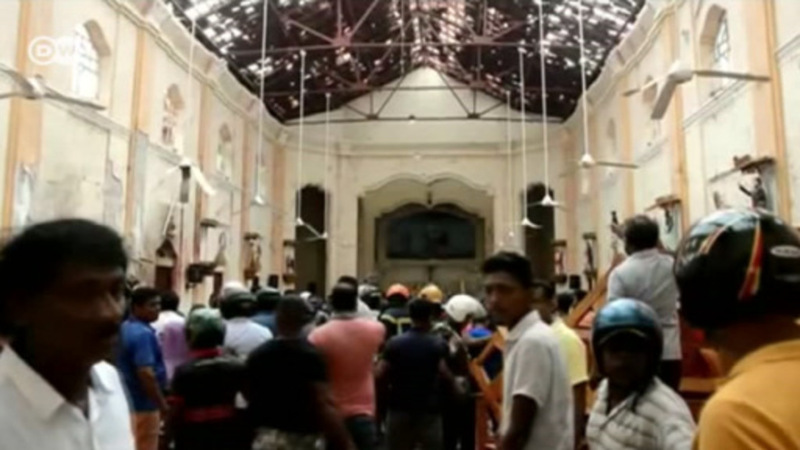 More than 1,100 factory workers were killed when the building collapsed in 2013. "The agreement was an important milestone for Bangladesh," says Franziska Korn. "It has created a heretofore unknown level of transparency concerning conditions in Bangladeshi factories." Yet, whereas the founding organizations are focused on extending the agreement beyond 2018, the Bangladeshi government has voiced opposition to an extension. When the Rana Plaza factory collapsed, Ashik immediately rushed to the scene to help free workers from the rubble. It was an experience that he says he can never forget. "The collapse made it possible for us to go to workplaces that won't kill us," he says. "Now we need jobs that allow us to live like human beings, with dignity. Jobs that allow us to fill our stomachs, to have a roof over our head and where we don't fall over with exhaustion at the end of the day." The idea of farming seems today more abstract than ever before. Jost Franko's latest photo essay brings this distant world back to our reality, in which the ridiculous price of garments is paid by workers living in dire conditions. Pictured here is a relative of Issa Gira (67) from Burkina Faso, who's been growing cotton for 30 years, but still earns less than a dollar a day. After the crop is harvested, farmers just like these two in Burkina Faso have to bring the cotton to the collection centers in nearby villages. Just before the market day, farmers help each other press the cotton into a huge, hard mass so they're able to weigh their loads. "No one really cares about farming, the first part of the supply chain," says Franko. Cotton farming gives work to more than four million people in Burkina Faso, and it is its second-most-valuable resource after gold. Sofitex is one of the three companies in the country that buys cotton from farmers and provides loans to cultivators, and it exports around 540,000 tons of cotton annually. Local farmers are seen here loading cotton into one of the many Sofitex containers. "Due to western cotton subsidies, which are creating a dumping effect, poor countries are in a huge loss," says Franko. In his opinion, the production of cotton and garments in third-world countries is just another form of colonialism. "Small workshops sometimes take subcontracted work for larger companies. The rent is expensive for most workers, so they sleep in the factories," he adds. A princess' dress or a cushion? In this photo, garment workers cut the textile in a factory in Dhaka, Bangladesh, the heart of the global cheap clothing industry. They earn 2.20 euros ($2.36) a day on average. Companies like H&M, Walt Disney or Lidl have their garments and home textile lines produced in the Dhaka region, which made the headlines in 2013 when the Rana Plaza sweatshop building collapsed, killing 1,129 workers. "It's hard to talk about fair conditions even when it comes to expensive, high-fashion labels," Franko claims, describing this photo of Romanian garment workers. "The state of the garment factories in Romania is much better compared to most Asian and African countries, but wages are still extremely low, not exceeding 200 euros a month, which is worse than in China. And this is the EU!" Although the fashion industry has been stagnating trend-wise recently, which has made more styles trans-seasonal, more than 80 billion pieces of clothing are purchased every year worldwide. But the low quality and purchase cost make the clothes disposable. In the US alone, more than 15 million tons of used textile waste is generated annually. "The history of cotton is indeed a dark one, and in my eyes, the issues surrounding the cotton trade have never ended," states Franko. Although much has been written and spoken about the invisible and destructive line of the clothing industry, customers seem to be immune: "I guess it's easier to turn a blind eye to it. Those issues are structural, and don't have to do only with garments." Bangladesh has made big strides forward in fighting extreme poverty. One reason -- the textile industry, which has been booming for years. After China, it exports more textiles than any other country. But the sector also has a bad reputation. Devastating fires and building collapses are fairly common in Bangladesh, where safety regulations are often poorly enforced. Here are some of the worst tragedies in the impoverished country.